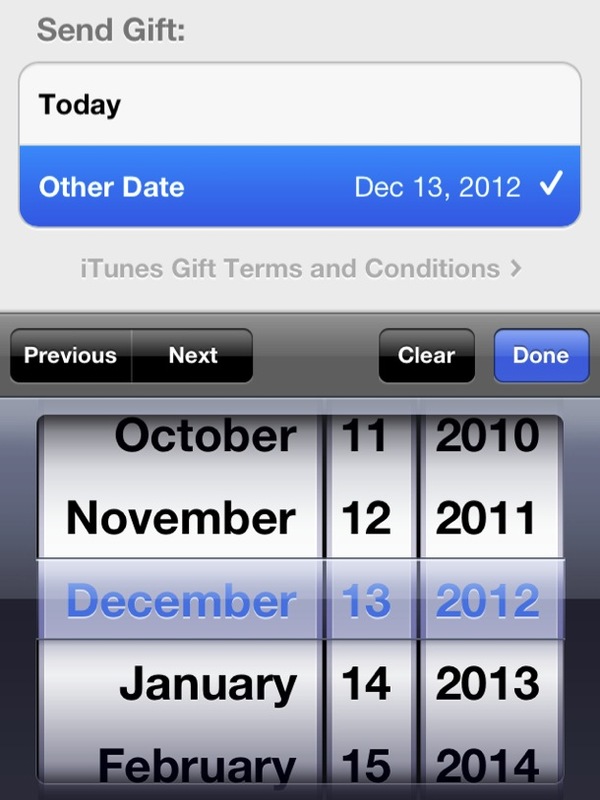 Apple has returned the ability to gift apps from the App Store on iOS 6 devices, after mysteriously removing it before the official launch. The addition, which was noticed by 9to5Mac, has been made in Apple’s new system-wide action sheet, rather than re-appearing at the bottom of an app listing, as before. 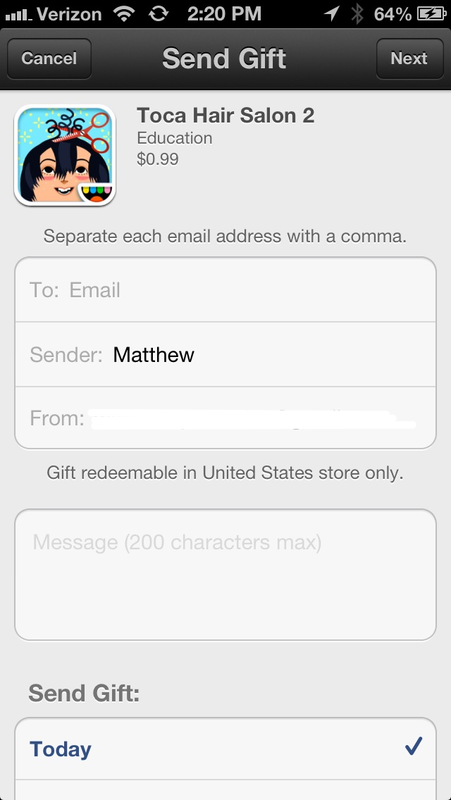 The new gifting procedure in the App Store is a bit awkward. It requires that you tap the action button in the upper right corner of an app’s listing to bring up the action sheet. There’s no indication that Gift is in here, as this is a place where you typically ‘share’ the listing out to social networks or via email. Gift is definitely an outlier here, and I think that it’s likely a lot of people aren’t going to know that it’s there. The new gifting sheet provides the ability to send it ‘today’, or ‘by a certain date’, which is a nice addition that makes it feel more like a gift. The previous gifting method was a link that appeared as you scrolled down the listing naturally. Once you viewed the description and reviews section, ‘Gift this app’ appeared below the listing. This new method isn’t nearly as discoverable, though it matches up with the new system-wide iOS convention of adding actions to the ‘action sheet’ rather than as separate buttons. 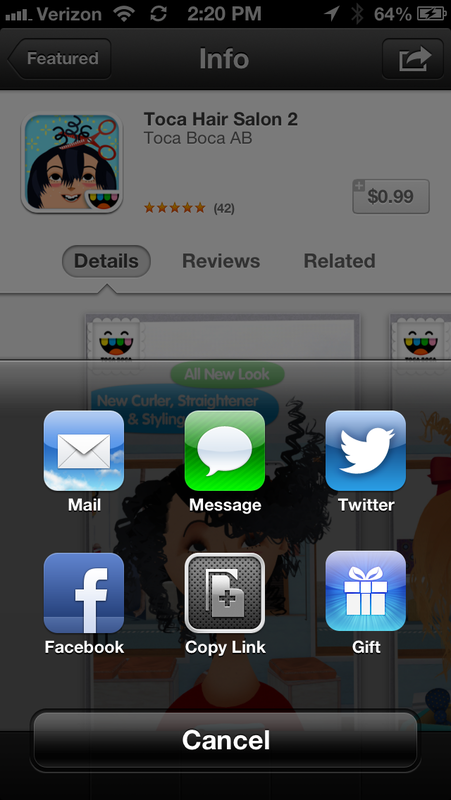 Devices running iOS 5 and lower retain the ability to gift apps from the normal link in the App Store.